Summer is a time when running fanatics, in all stages of their pursuits, begin their build-up toward fall running events. In recent years, marathons have become both more accessible and popular. For Queens Distance rookies who plan on completing a marathon this year, take to heart a few critical tips in your summer marathon build-up. Many new marathoners feel the need to run intensely each and every day. Rest is not the absence of training but actually a key part of training. Pair all of the harder sessions (tempo runs, interval work, long runs, hill sessions) with an easy day (or days) to allow the harder work to manifest itself. Since surfaces on race day will usually be asphalt or packed dirt roads, most of the weekly mileage should be done on firmer surfaces. For 25-35 percent of the weekly mileage, run on softer surfaces such as grass, cinder or dirt trails. Recovery time will decrease between sessions. Most Internet- and magazine-based marathon training programs feature a 12 to 14 week build-up. Are you in the worst shape of your life? Give yourself an extra four to six weeks of easy mileage preceding the training plan. If you are already fit going in, think about only eight to 10 weeks of marathon prep. Running the Boston Marathon? Be sure to prep your quads with runs that begin with 10 to 12 miles of downhill. If you're running the Chicago marathon, get ready for flat ground. Running Twin Cities? Account for rolling hills over the final 20K. Allow your body to feel the course before you race it. Have a partner act as a "water stop" and hand you fluids and energy. Drinking water and eating while running is a skill to be learned, so don't wait until race day. Many runners complete a weekly long run for marathon prep (16-22 miles) then nothing longer than 5-6 miles for the rest of the week. 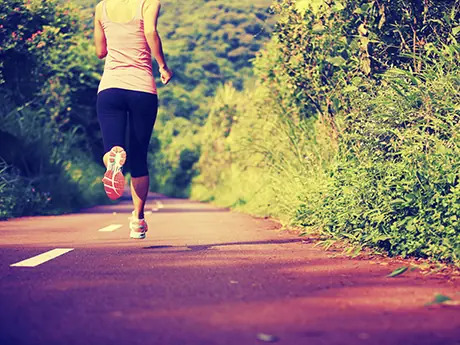 Complete a run that is 75 percent of the distance of your long run. Consider a 20K, half marathon or 25K race between three to six weeks away from your goal race. Run the first 2/3 of the race at your marathon goal pace and it will boost your confidence in your training. For example, run your goal pace for 15 kilometers of a half marathon, then after 15K you can race home.